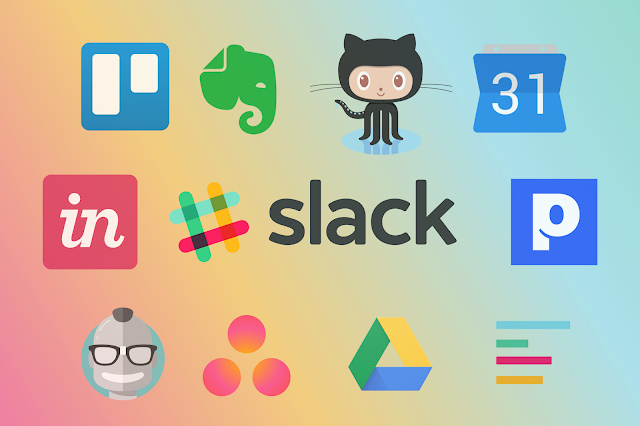 Slack is a set of tools and services with the workspace that allows you to organize communications for your company. It is especially useful for remote teams because it enables communication as if all team members were in the same place. Other words, it is the perfect team collaboration software that unifies your entire team communications. If you are using Slack platform, then you will be able to bring tools you are using every day with your team members. And with the right people and tools, Slack turns out to be the place where the team is the most productive. Here’s a list of 10 productivity tools you can use to make your team productive. Trello is an online service that helps you stay organized and create projects in which you can add people, add tasks and assign them to others. This productivity app provides a visual summary of everything involved in your project and allows seamless communication between the two apps. By combining Trello with Slack, you can add new Trello cards to boards directly from Slack with the "/trello add" command, and you can join them. All that will lead to a better beginning of your projects. You can also add conversations and team members into teams and boards. If you want your notes to remain organized, this is a perfect app for that. Plus it is good for increasing productivity because with it you can have content and team in one place, focused. If you send a message in Slack, it can be easily converted into Evernote. You can turn a Slack channel conversation into meeting notes when you clip all messages, PDFs, and docs to Evernote, and you can choose which one to clip. What’ more, you can automatically sync Slack channel messages with your Evernote and also search Evernote notes from within Slack. GitHub is a great web hosting service that offers all functionalities of it. It is good for managing projects and writing codes. And when you connect these two apps, you are automatically receiving the event in the Slack channel. This app makes it easy to customize what gets posted in Slack. You can subscribe to the activity that's relevant to the whole channel to see and unsubscribe from other types that are less helpful. So, connect two of your most important tools and stay on top of your work, all from Slack. Google Calendar is a great app for simplifying many daily business tasks. Even when you’re well organized, you can forget about some meetings or events. Or your team members birthday. When you connect these two apps, you will receive notifications and a daily and weekly summary of scheduled events. Paldesk is a powerful live chat messaging platform that lets you engage and convert users in real-time. Keep track of various groups on Slack, receive updates about new users and conversations straight into your channel. Don’t miss out on a single thing happening behind the scenes of your team inbox. Receive incoming messages directly into Slack and reply easily with the help of your entire team. Don't miss out on any conversations with live notifications, stay up to date on their current progress with user status colors - green (online), red (offline) and blue (assigned). Should we be focusing on case studies? Or should we be focusing on new projects? This Slack tool allows you to use polls natively within Slack — in public channels, private channels, and direct messages. Simple Poll makes it quick and easy to gather the internal intel you need to make important decisions that will impact the growth of your business. You can also conduct a poll with emoji reactions which proves to be a great tool for a quick poll. Such as when deciding whether to eat pizza or sushi for your lunch break. With this app, you can share Drive files in Slack. To be able to do that, you need to have a shareable link in a conversation, paste it and then files will automatically be imported in Slack. You get updates in Slack on changes in Drive, like comments, access requests, and new files shared with you. Then you can reply directly to comments from within Slack and have them posted to the file. And also, one of many advantages is the fact that you can search and find files quickly. It automatically indexes the contents of any Google Drive file you have shared. Asana, an app that is used by many organizations and industries, is a project management tool for teams. With this app, teams are able to do their work much better and it turns out more productive. Get notifications on your work happening in Asana. Link a specific Asana project to a Slack channel so everyone in the channel is notified when changes and updates are made to your project in Asana. Lastly, you can create a new task in Asana without leaving Slack. Geekbot organizes your team’s workflow with a flexible and robust scheduling system, which allows you to set up meetings in any possible frequency (daily, weekly, bi-weekly, monthly or even custom). Imagine being able to create your own question. Or giving your team control over reminders. Geekbot can do that. And as soon as you integrate it with your Slack chat, you will be able to add transparency to your meetings and stay focused on the tasks that matter. Many web designers and developers use Invision for their prototyping needs. It’s reliable and scalable and allows your entire team to actively collaborate on different projects. Connect a prototype to a channel, so when it’s updated, changes are pushed to the channel and made visible to your whole team. Changes made within InVision projects such as screen changes, comments, and status of the project are automatically synced with Slack. Get instant notifications, previews of changes, and click through to comment. Also, you can customize your Slack sync for each project.